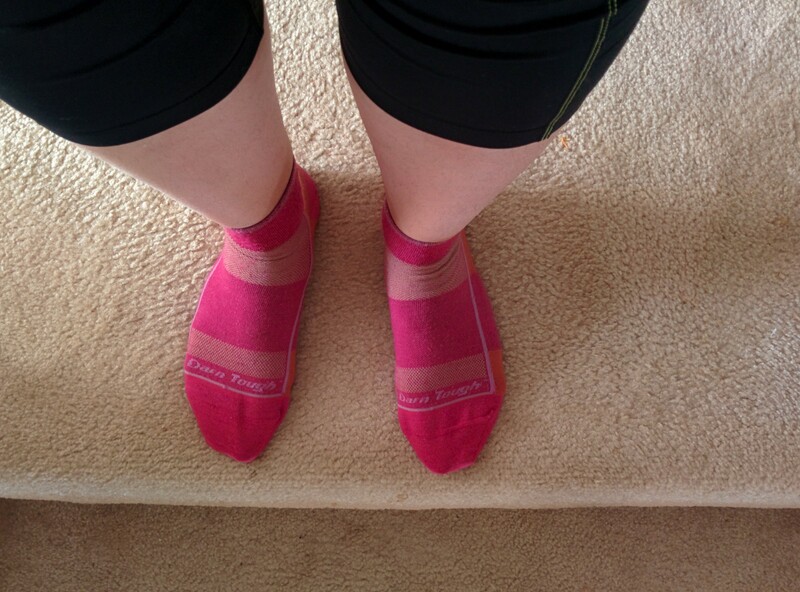 So, I’m two days late this week in my Monday edition of 21 day fix post. I ended up traveling last weekend and although I got home yesterday, I was beat. Traveling alone with the kids was exhausting! It reminded me how lucky and grateful I am to have such a helpful husband. So week 2 wasn’t great. I did good with the exercising for about 1/2 the time. Then with traveling and such, I did none. I did walk quite a bit. But that was pretty much it. My eating wasn’t great either. I drank a lot of coffee on the go (Starbucks and gas station sweetened coffee drinks). Yeah. I’m feeling the lingering effects of traveling, tiredness and poor eating choices. Week 2 Goals: No Candy- did pretty good until I started the road trip. Seriously, I ate almost an entire bag of chocolate covered raisins while driving. 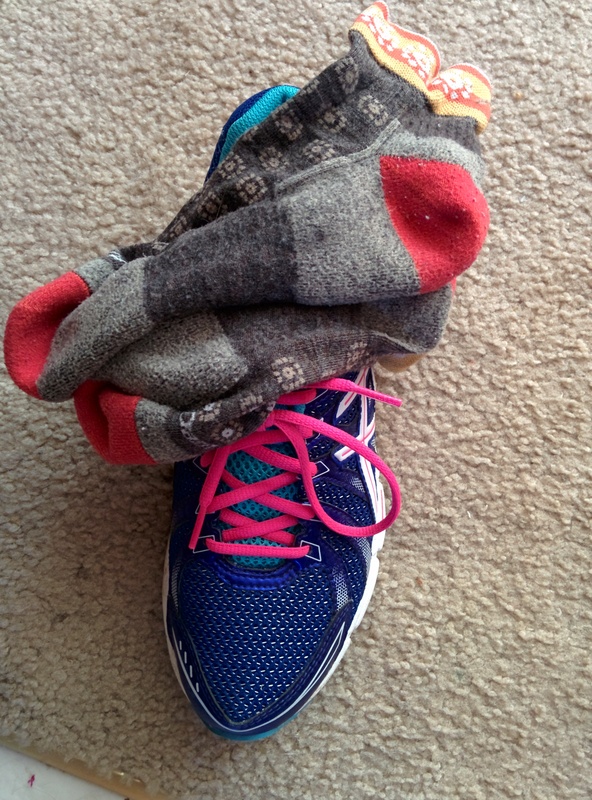 Oops… Exercise daily- that did not happen. Increase water intake- also failed. Eat all fruits and veggies 4 days was also a failure. Week 2 Accomplishments: I don’t think there were many. I did mostly make better snacking choices. I ate fruits and veggies for snacks when I was home. And really only splurged at the end of the week when I was traveling. So, I’m going to count that as an accomplishment. Week 2 Areas for Improvement: Wow. There were a lot. I think overall, the biggest theme for me was finding a way to be accountable even when life gets busy. I think last week really reinforced my need to get a bit more structure in my eating/planning. I could have/should have done better. I could have planned and packed healthy snacks for myself. I could have gone to the store while out of town and picked up some fruit. Week 2 Over-all thoughts: I struggled last week and see myself having some struggles this week too. I almost feel like I should’ve waited at least three weeks before trying to start this. Life is busy and hard and I’ve not put for the effort I needed to in order to be successful. I also feel like I made a lot of excuses for why my meal planning didn’t get done or I ate poorly and didn’t exercise. Sadly this week is 1/2 over and I’m feeling the same excuses break into my thinking, again. I’m wondering if I need to get connected to a challenge group to help me stay motivated. Week 3 Prep: Honestly, I started this week still out of town and my “bad habits” from last week are lingering into this week. So, I did not get any prepping done. Week 3 Goals: My biggest goal is to get re-focused on what I’m doing. Its late in the week to do much prepping as a goal. I will tonight make some hard boiled eggs. I will begin tracking my containers again. I have family in town this weekend, so I will make sure there are plenty of fruits and veggies in our house. Its also the State Fair starting this week. One HUGE goal for me is to not over-indulge in fair treats this year. There you have it. My not-so-successful week of 21 Day Fix. I will work on the last few days of this week in hopes of salvaging some of it. We are all human and we have goods and bad days, good weeks and bad weeks. I will not let that define me. I’d love to hear how you manage eating healthy and/or follow the 21 Day Fix when you’ve got family visiting. I’ll have an extra 7 people (more than double my little family) staying with us for 3-4 days. I went out on a four-mile run today. As I ran, my mind wondered. It jumped from why I started running and my initial fears about running to what I’d accomplished. I thought about the running community and how welcoming and embracing it is. I thought of all the people the supported me and gave me encouragement. I started running on a whim while sitting around my cousin’s table having a couple of glasses of wine. I do believe a lot of my best ideas come after having a few glasses of wine. This resulted in my training for running my first 5K. I was pretty nervous about running in front of people. What would people think if I came in last? Well, several races later, I will say no one has pointed and laughed at my slow running. I’ve come in dead last at a race and again no one cared. Well, no one but me because I was too proud of myself that I finished my first 10K. It took a while for me to call myself a runner. I still revert back to saying a jogger. I don’t know if it really matters except in my mind. When I call myself a jogger it’s usually when I’m fell down about my abilities. But I am a runner. I go out there and do it. I’m slower than some and faster than others. Running isn’t about my competing with others, it’s about my competition with myself and beating my last time. I’ve found the running community to be more than welcoming. I was nervous about talking with other runners. I don’t look like a running. My times are much slower than many of my running friends. The more runners I talked to I began realizing most runners love when other’s embrace their sport. Most are willing to give out their advice and recommendation. Most will help cheer you on and encourage. Granted, there are some who don’t fall into this category, however, they have been few and far between. If you are thinking about starting to run. Do it! It has so many rewards. And none of my worries or fears were ever validated. I found running to be therapeutic. I find it gives me energy and makes me happy. One last time, if you’re thinking about running, Just Do IT. You won’t regret it. 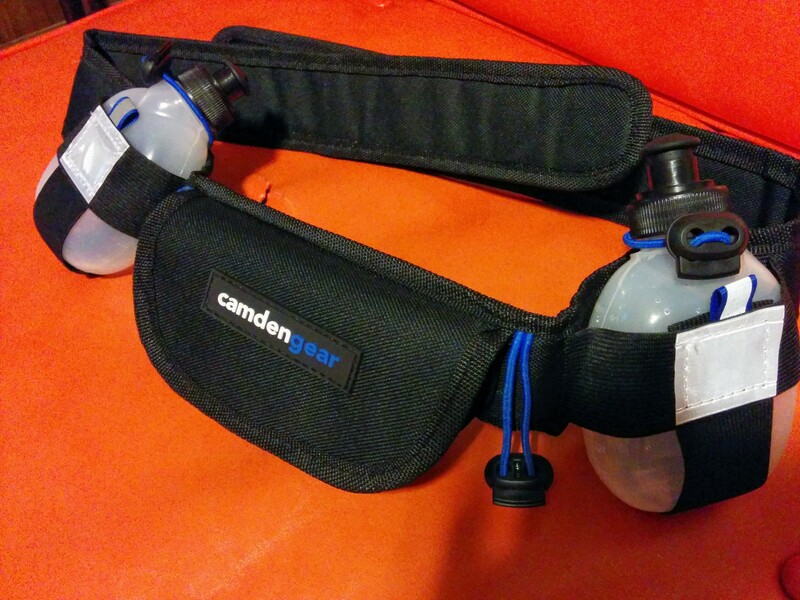 A while back I shared I was training for a half-marathon. 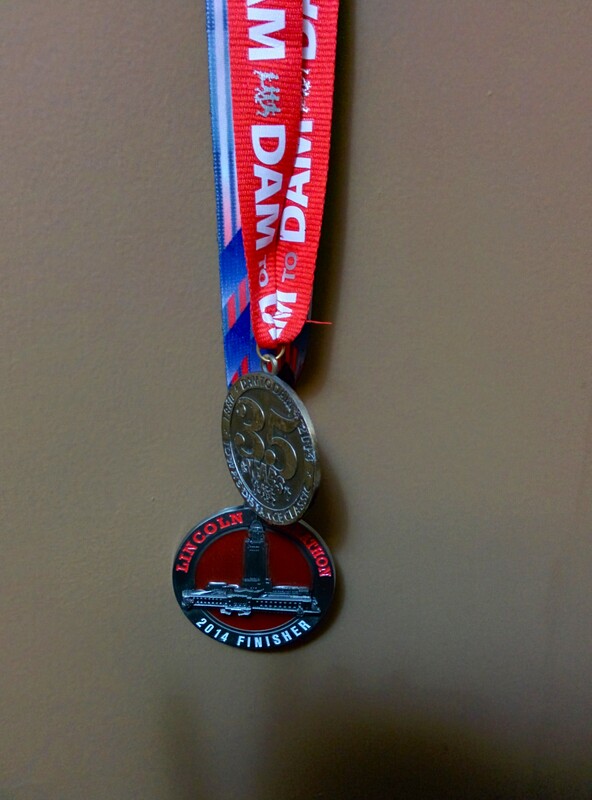 I’ve since then completed two half-marathons all in the month of May. It has been quite a journey. I’ve learned a lot. And I’m contemplating doing a third half-marathon. I know, I may be certifiable but at least if I sign-up for a third, it won’t be until this fall. 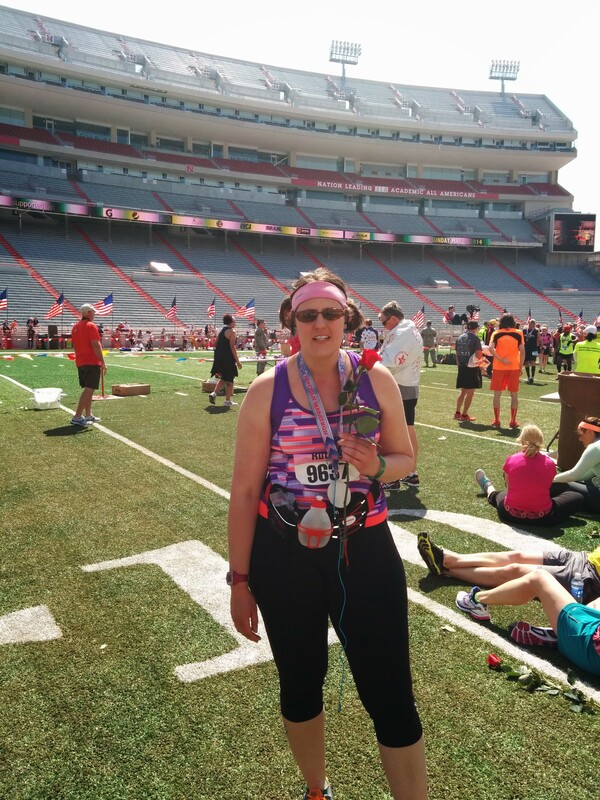 It’s been one crazy ride, this goal of completing the half-marathons. And as with everything there were some high’s and lows. I learned a lot with the first one and even more with the second one. I want to take a few minutes to share with you what I learned. 1) It takes time to train Ok so this may seem obvious but to be completely honest, I didn’t realize exactly how much time I would spend training. Initially I was jogging on a treadmill at the gym three times a week. However, once I hit 6 miles it seemed very tedious to run on the treadmill and the weather was warming up. Unfortunately once I got out of the gym I didn’t want to go back. I found my distance decreased because of the weather. I always managed to get my long jogs in, but I skipped several shorter jogs. I spent every Sunday jogging in the afternoon for up to 2.5 hours. When you begin your journey remember it will take you to several hours a week of training. 2) The outfit matters: I knew shoes were important, but your clothes are also important. I took a long time searching for a pair of running capris. I had some strict criteria, I didn’t want them to be see-through. WOW! That was very difficult to find a pair that I felt comfortable wearing. After I found a pair, I bought two as they were super comfy and fit well. For a top, I just used a razor back exercise shirt but you do want to consider your shirt. I found some rubbed funny once I’d put in several miles. When picking out an outfit, pay attention to comfort. Also, wear the clothes for training jogs this way you can see if it rubs anywhere. 3) Make sure you can eat Nutrition is very important both while training and pre-race. 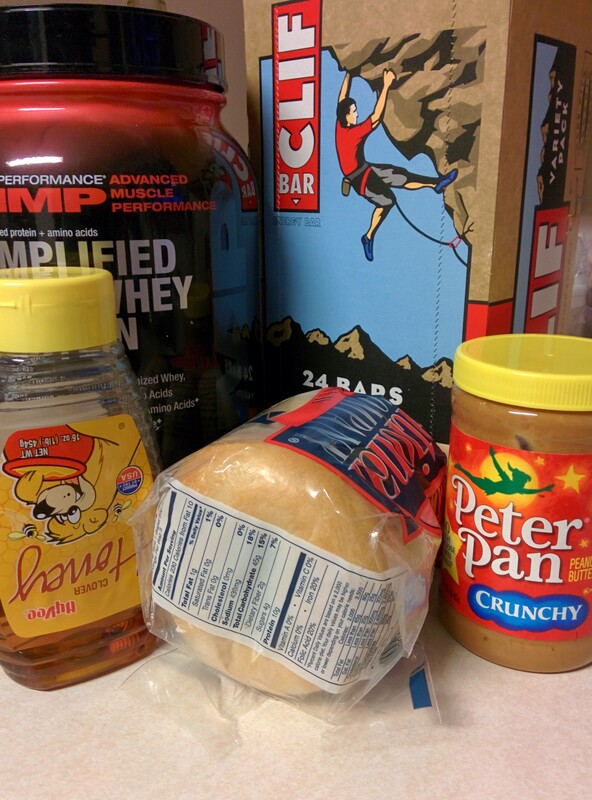 I highly recommend maintaining a healthy, well-balanced diet while training. During training I would eat a large lunch and then jog 1-2 hours later. The first half-marathon I’d planned on eating before the race. I didn’t factor in two things, one during training I was eating a pretty heavy meal prior to my longer jogs. Two, I didn’t plan on having difficulty eating so early in the morning. Race day I was up and attempted to eat at 4 AM. My stomach couldn’t tolerate food. I ran out of energy very quickly into the race. In preparation for the second one, I woke-up several days and practiced eating my planned breakfast. This made race day much easier. 4) Fuel as you go I learned early on that I needed to fuel on the run. I tried a few different fueling options. GU seems to be one of the most used ones. Both races offered it at some of the water stations. They also offered a sports drink at some of the stations. I tried the GU and carried it with me, but overall I found the texture problematic. It did work, about 15 minutes after eating it, I did notice a slight boost in my energy. 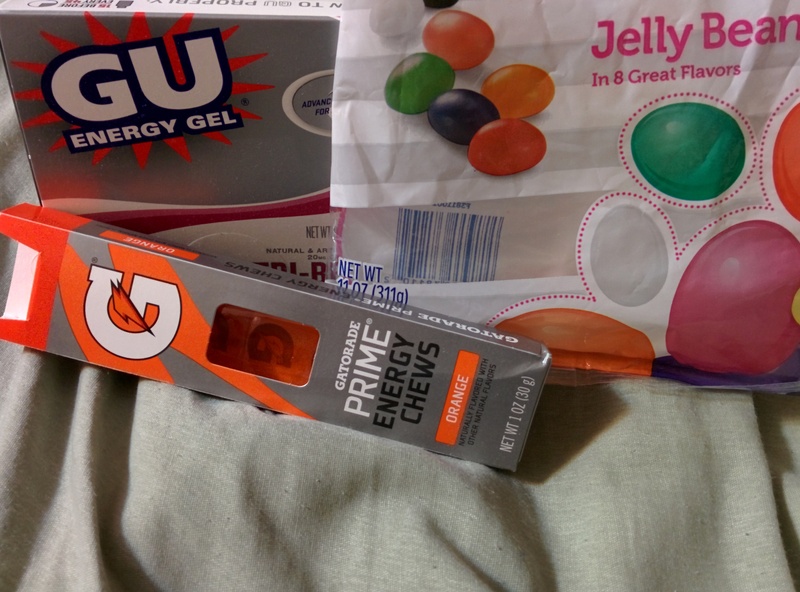 I also used Jelly Beans and I had the same boost. During my second half I found Gatorade chews. The texture of these were more favorable than the GU. I didn’t feel the kick of energy like I did from the GU but I didn’t feel tired either. The most important thing about fueling is to do it before you need it. The first half, I waited until I felt the tired set-in. That is too late! The second, I started sooner and felt stronger for longer. 5) Plan to rest following This really took me by surprise. I was expecting some soreness but I wasn’t expect the recommendation and much needed minimum of one week of resting. Even after that week, my hip was painful with exercise. I found jogging a mile difficult. Slowly I was able to jog further distances and by the time my second half arrived I was able to do 10 miles without a whole lot of trouble. Unfortunately, I needed to walk over the last mile. If I had another week or two, I would have been better prepared. I recommend spacing out your races further than 3 weeks for adequate recovering time. I know I’ve learned so much more than those 5 items. However, I believe those are the most applicable to others. Personally, I also learned that I truly can do more than I think I’m capable. For those well-trained and athletic, the achievement of a half-marathon might not seem that great. But for me, it was an amazing accomplishment.